Mitsubishi Motors Philippines Corporation recalled specified models for a safety inspection campaign. These units include ASX, Outlander, Lancer Evolution and Lancer EX. This recall procedure is in line of the earlier campaign announced by Mitsubishi Motors Corporation, Japan. The switch sleeve inside the brake booster is suspected to be improperly installed which may cause the brake pedal not to release and the vehicle unable to restart. The inspection procedure is estimated to take 18 minutes at the most and when needed, replacement of brake booster is estimated at 2.4 hours at the most. Coverage of this safety inspection is 27 ASX units sold in 2011. The insufficient conduction in the switch may cause the brake lamp not to illuminate and may also result inability to move the shift lever out of Park (P) position. The replacement procedure is estimated to take 18 minutes at the most. Coverage of this safety inspection is 558 Outlander units sold from year 2007 to 2009. The pulley and auto tensioner may wear out due inappropriate material of the engine drive belt and may cause the drive belt to come off. Replacement of the engine drive belt plus inspection and if required replacement of the pulley and auto tensioner is estimated to take around 1 to 1.5 hours in total depending on the engine type. 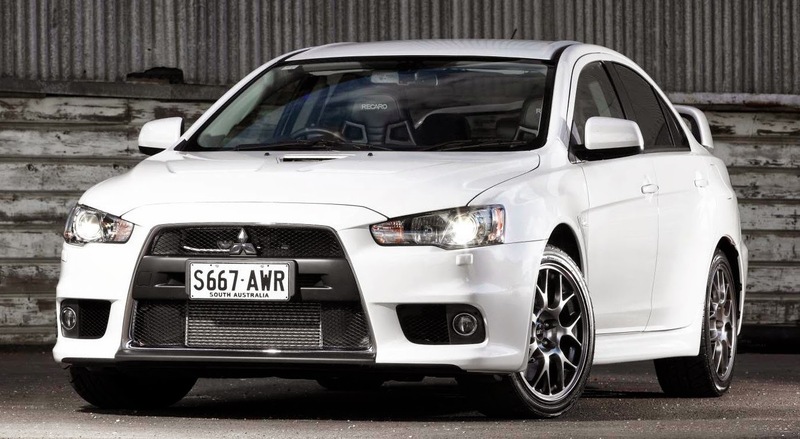 Coverage of this safety inspection are as follows: 2,459 Lancer EX and Ralliart units sold from 2008 to 2011, 603 Outlander units sold from 2008 to 2009, 600 ASX units sold in 2011, and 8 Lancer Evolution X units sold from 2008 to 2010.